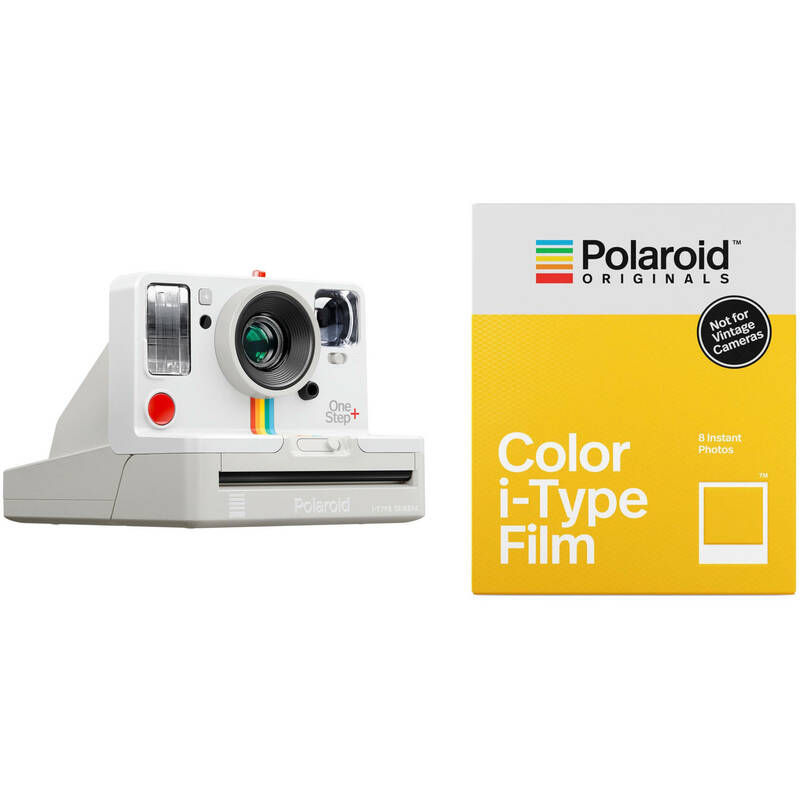 Comprising everything you need to get started, the Polaroid Originals OneStep+ Instant Film Camera with Color Film Kit from B&H bundles the uniquely connected camera with one pack of color i-Type instant film. 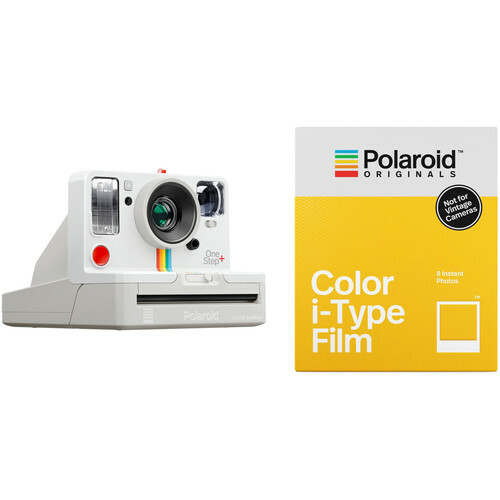 This pack of Color i-Type Instant Film from Polaroid Originals contains eight sheets of film for use with i-Type cameras. Producing natural, yet vibrant colors, this ISO 640 film offers a classic instant film look with its glossy 3.1 x 3.1" image area and traditional white borders. Each shot develops in 10-15 minutes after exposure, and the film should be stored in a cool, refrigerated, but not frozen, place before use. Additionally, this film does not have a built-in battery and must be used with Polaroid Originals or Impossible cameras featuring their own internal battery. Box Dimensions (LxWxH) 4.65 x 3.8 x 0.7"